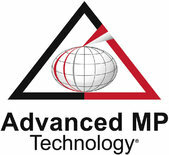 Advanced MP Technology, founded in 1978, is a global stocking distributor offering quality electronic components and enhanced supply chain services. Amphenol Invotec & Amphenol Printed Circuits are aligned to provide the latest PCB technologies, cost-effective manufacturing and service solutions. Apacer Technology offers a wide range of industrial SSD, digital consumer products and memory modules. APEX is an approved ISO9001 & ISO14001 certificated manufacturer, specialized in custom Monochrome, TFT LCD displays E-paer and OLED with touch panel. BrightKing products include MOV, TVS, GDT, SPG, PPTC, ESD, TSS, with CE / REACH / ROHS / VDE / UL / CSA certificates. Bomin Electronics Co., Ltd. is an enterprise specializing in manufacturing HDI, HF PCBs and heavy copper PCBs. Chu Jhi Electronics Co., Ltd. The company is located in the world famous Hangzhou Bay Bridge south bank, I Division was established in 1994. PCB terminal blocks are used in security, lighting, power, robotics, automation and industrial equipment. Cortus provides processors (including RISC-V), IoT products, with software stack - from edge to cloud and offers high level design services. Dongguan PengHui Electronics Co., Ltd.
PengHui was established in 2006, located in DongGuan of China.Main product:SMT/DIP RJ45 with/without Magnetics.60% atomation,ISO9001&14001 certified. Dongguan Sino Connector Co., Ltd.
Sino is a professional manufacturer engaged in the research, development, production, sale and service of connectors and cable assembly. The manufacturer of Dip Switch, Micro Switch, Relay, Terminal Block, Industrial control switch, Connector, PPTC and PM Stepping Motor in Taiwan.